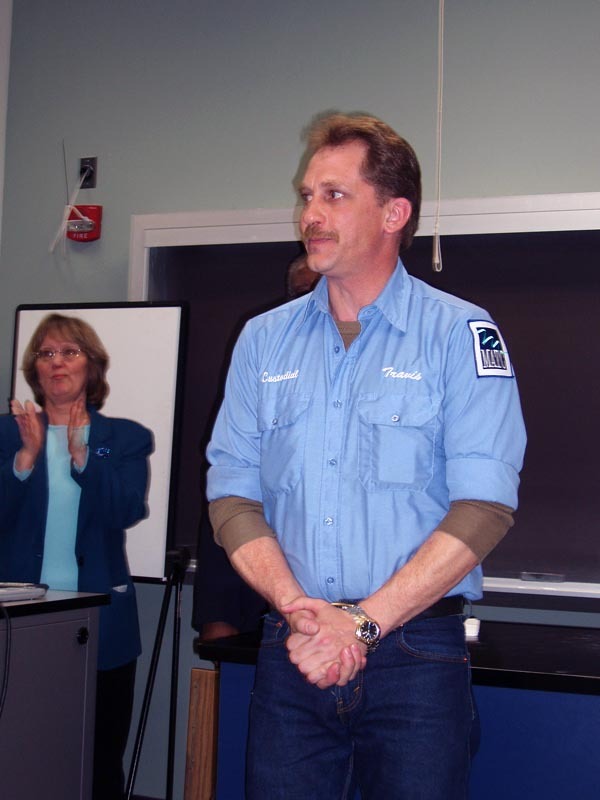 Congratulations to our very first hero, Travis Wiersma, a janitor from Sun Prairie, Wisconsin! 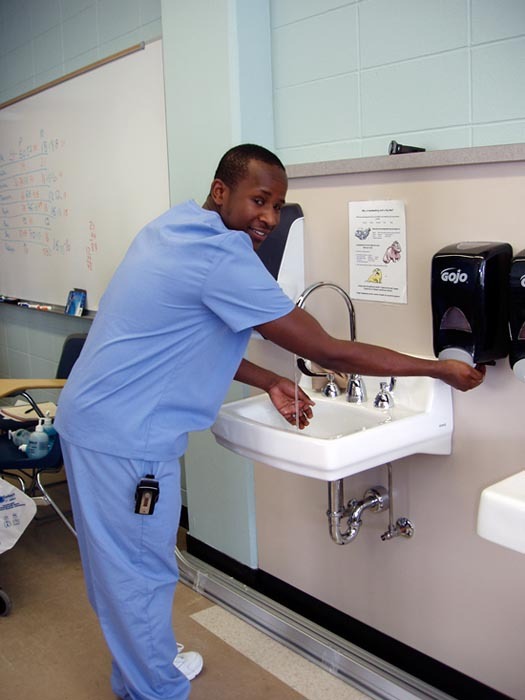 Travis was chosen from over 2,000 applicants for his desire to help over a thousand nursing assistants and nurses in training at Madison Area Technical College (MATC) in Wisconsin. The school will receive $25,000 worth of new state-of-the-art training equipment. Over 250 registered nurses and over 1,000 nursing assistants graduate every year from MATC so Travis's wish will help a great number of graduates, and since the equipment will be in use for several years to come, his wish will ultimately help thousands of nurses and nursing assistants as they head into the workforce to care for their patients. Travis said, "I was just shocked to be selected. I never thought I would be one of Jenny's Heroes. It's an awesome feeling. I know my dream will be helping many nursing students coming in and it will just keep revolving. It will be a gift that keeps on giving. As for me, this experience has changed my life"
It turns out that Travis's grandmother was a nurse which makes his actions even more personal. 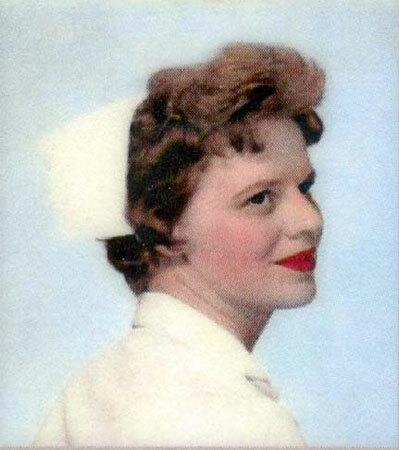 When both of my grand parents became ill and were hospitalized it always seemed to me that the nurses/nursing assistants were all so very caring and compassionate. They helped me through the death of both my grandparents, and I have always appreciated and respected the many roles they play-not only as nurses and nursing assistants but as front line with families who have to deal with so many difficult situations. MATC plays a positive role in our community and in my family, they help students gain work skills for the real world. .My grandfather worked at MATC for over 35 years, until his retirement, and my mom for over 17 years. I currently am working on my third year of employment at MATC, so my connection to this school is very strong. So as you can see my reasons are two fold, and very much influenced by my 2 families, my real life family and my MATC family. Travis has a 14-year-old son we can all be proud of. Seth made the local news again as he shows what you can accomplish when you're willing to work for it. We love hearing from Sue and this time she sent us a photo of Marie McCutcheon, one of the students who sent Travis a sweet note on January 17th. Her note is posted on the right. Here is Sue's letter..
MATC is extremely busy training Nursing Assistants with all our wonderful new equipment. As you know from the email from one of our students, we continue to talk about the generous gift we were given by Travis & Jenny's Heroes. I wanted to send you pictures of Marie in our lab with our brand new floors. One instructor recently commented that she felt all the instructors were working together better as a team now. I think this is a result of the pride in our new equipment & updated surroundings. The office got new carpeting & a few new furniture pieces. We are feeling so organized now! 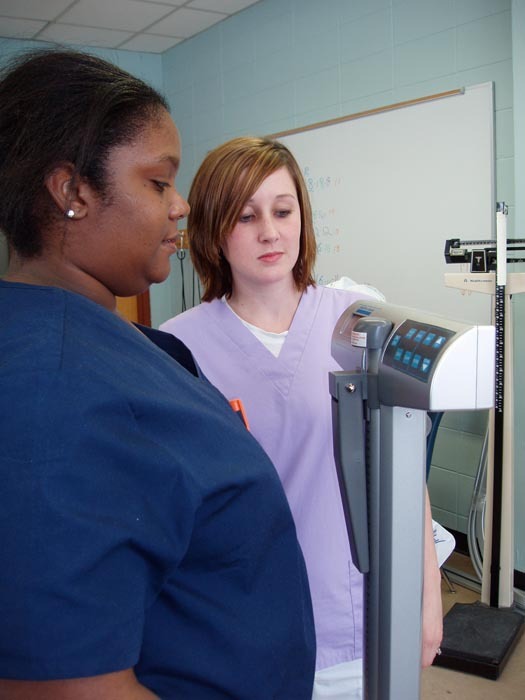 Which is good considering the economy has increased the demand for Nursing Assistant training. Thanks again for all that Travis & Jenny's Heroes has done for us and continue to do for many others. It is wonderful that you are able to spend another year with new Jenny's Heroes. Travis received a very touching letter today from one of the students at MATC. It's posted over on the right at the end of his huge list of congratulations. Yesterday was just the best day ever! They had a Nursing Assistant Grand Re-Opening Reception and ribbon cutting ceremony and guess who was the guest of honor? Travis! And guess who was there by video hook-up? Me! It was so high-tech. Damon worked with Sue in Madison and hooked us up through his computer, so I could sit at the keyboard and see them on half of the screen and myself on the other half. Everyone was there: Dr. Barhorst (MATC President), Dr. Sido (Dean of Health), Sue Worth (Nursing Assistant Program Director), Travis, and even his mom, Sandy. We were able to talk to each other and they even gave me a virtual tour of some of the new equipment. Sue said that the manikins even cry out if you stab them too hard. I had no idea how life-like these training manikins are. 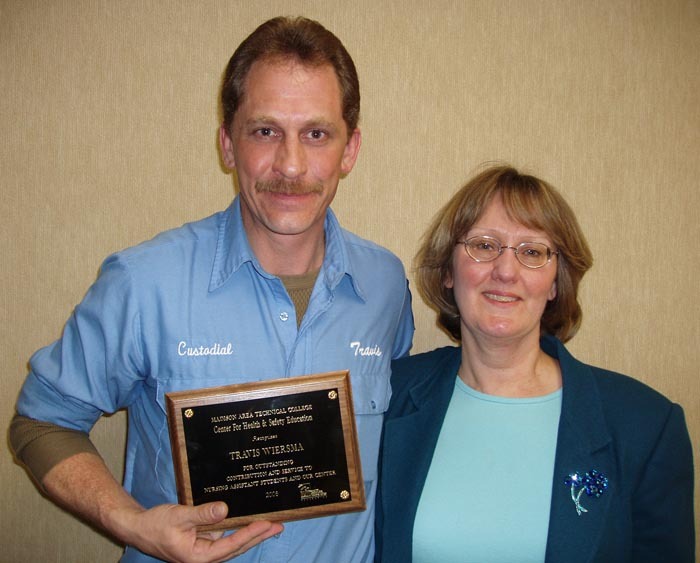 Sue also presented Travis with a plaque that we had made and sent to her last week. As for the ribbon cutting, they draped the ribbon between two new sinks (Sue LOVES the new sinks) and Travis's mom actually cut the ribbon. She must be so very proud of her son. I know we all are. And that's not all. They also brought out a beautiful cake to celebrate the occasion. At the end, everyone sang an early Happy Birthday to me. It was so nice to feel like I was there thanks to Sue who put this whole day together. Travis works at night and we hear that some of the evening instructors invite him into the lab to tell the students what he has done for the school & them. The students now can see the renovation in process & are using some of the new equipment. It's great that they can see the transformation & the man responsible for it. And Sue tells us that another unforseen benefit of their new equipment is... recycling! Someone took their old crank style bed. A family member was having some health issues and wanted to try a bed where the head would elevate. Another person took one of the old chalk & bulletin boards for a children's playroom they were creating. We received a nice update from Sue at the nursing program. 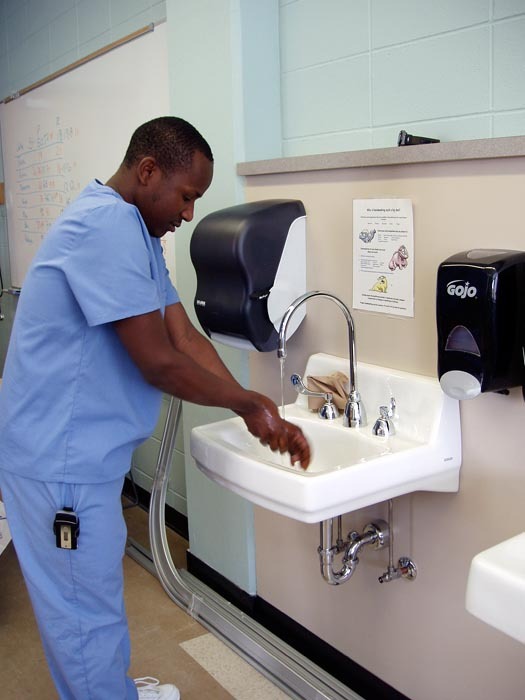 "They removed the old desk & sinks! There are 2 labs and there were workers in both. Lab 1 was removal of the old chemistry desk & the sinks attached to that. In Lab 2 all the old chalk boards & bulletin boards were being removed. This will also happen in Lab 1. Minor electrical work in both rooms. Next week the plumbers come in to put in the new sinks. Painting, new chalk & bulletin boards, privacy curtains, new storage cabinets, file cabinets &students chairs. Its going to be a busy & exciting week." Sue is planning a big re-opening reception after the work is completed & all the new equipment is in place. It should be in about a month. She also sent pictures of their new manikins. Travis received a nice note of appreciation from Robert J. Dinndorf, the Executive Director of the Madison Area Technical College Foundation. It's posted to the right. 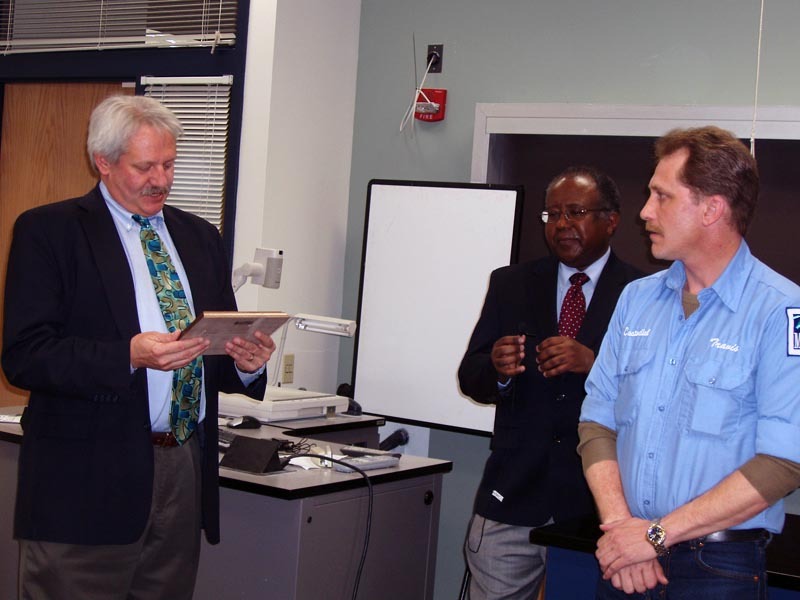 NEWS: At today's MATC Health Division meeting, Travis was presented with a recognition plaque by Dr Sido, their Dean of Health. Susan Worth introduced Travis & his contribution to their programs. 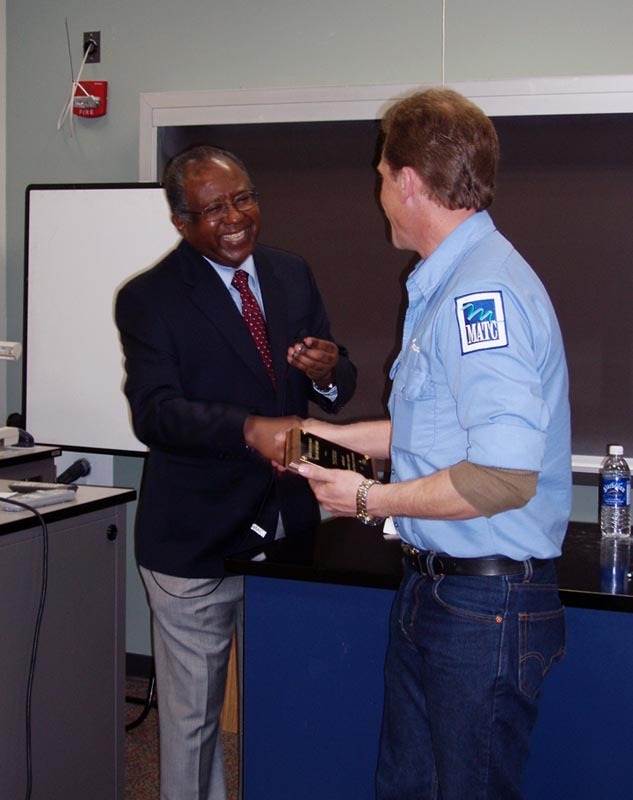 The Vice President of Instruction, Terry Webb, presented the plaque. Travis recieved a standing ovation from the faculty & staff of about 150! We will post pictures of the event on Monday. We heard from Susan Worth at the nursing program who tells us some of the equipment has already arrived, including manikins and "other body parts" (yikes!) for training. We are so excited about getting this generous donation. Travis is getting lots of praise from all his co-workers here at MATC. His mother works at MATC too & is so proud of him. Because I am able to buy in volume, I am getting discounts &/or free equipment so will be able to get even more equipment than initially planned. 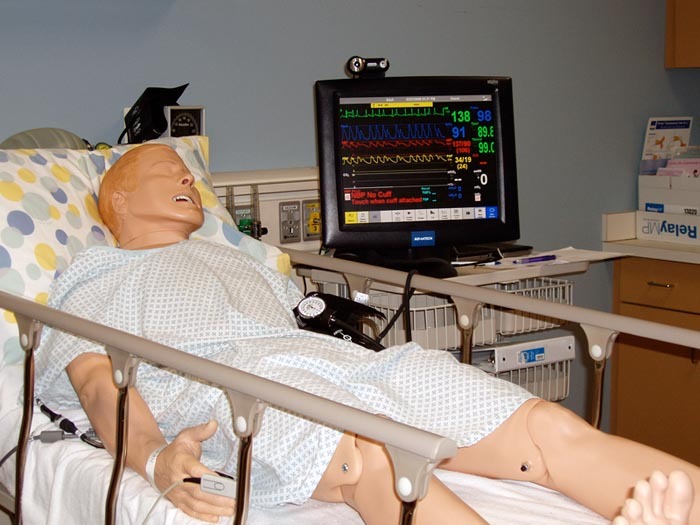 Last year the Nursing Program had a grant to purchase some computer operated manikins that can simulate various health problems & emergencies, such as a cardiac arrest. This allows students to experience these situations in the safety of the school setting before going into the real world. That grant did not allow them to purchase the software needed to take full advantage of this state of the are equipment. Now they will be getting that software! Tomorrow the labs will be measured for the Privacy Curtains & I can finalize some of the equipment orders with the sales rep. He has been working with suppliers to get us better prices on everything. Also because of all the attention the Nursing Assistant lab is getting due to this generous donation, I am able to get a long overdue remodeling project for the lab on the schedule. I am meeting with the Facilities Maintenance manager tomorrow about getting updated sinks for the lab. This will come out of our budget, but was something that always got pushed aside as more "important" projects came up in this older building. The spotlight on us has made this project a priority now. Early in April may be the only time the lab will not be in use long enough to get this completed. I can send you before & after pictures. The timing on this is so wonderful. Recently, a large, expensive piece of equipment had to be replaced. This meant that we were not going to get anything new for our Nursing programs this year. Now we are getting more than I could have imagined! This is creating a ripple effect that will benefit our students in many ways for years to come! Travis will continue to benefit from the admiration of all of us here at MATC for years to come as well. 02/08/08: Jenny wrote... "Travis, I wanted to be the first to congratulate you on the enormous difference you have made in your community. You got this program off to a dynamic start." 02/08/08: Damon wrote... "Congrats, Travis. Your dream has come true and it's going to make a big impact in your community." 02/08/08: Travis' Mom wrote... "Congrats Travis, you did a bang up job-way to go. xo xo. I'm proud of you!" 02/08/08: Christina wrote... "Wow Travis.....You are truly inspiring...... Sending you the warmest of congratulations!!" 02/08/08: Kathy & Rick wrote... "Travis, Congrat's from co-worker's Kathy and Rick, this will be a great help to the program, We all know new equipment is needed." 02/08/08: Tricia wrote... "Travis, Congratulations! Putting Students First - that is the MATC Way!" 02/08/08: Terri wrote... "Hi Travis, congratulations ! You are a very cool dude with a tremendous heart!" 02/08/08: Erin wrote... "It warms my heart to hear of all the people who will benefit from your thoughtfulness. You are truly an inspiration, Keep up the good work!" 02/08/08: Angela wrote... "Travis, Congrats!!! I am a flight nurse and know the extreme value of having adequate tools for learning!!! These much needed tools will make an impact on our future and how these nurses will learn to save a life in your community!! Bless you Jenny for your generosity!!" 02/08/08: Joe wrote... "Way to Go Travis, I am a nurse in Kentucky." 02/08/08: Julie wrote... "You are a true hero. 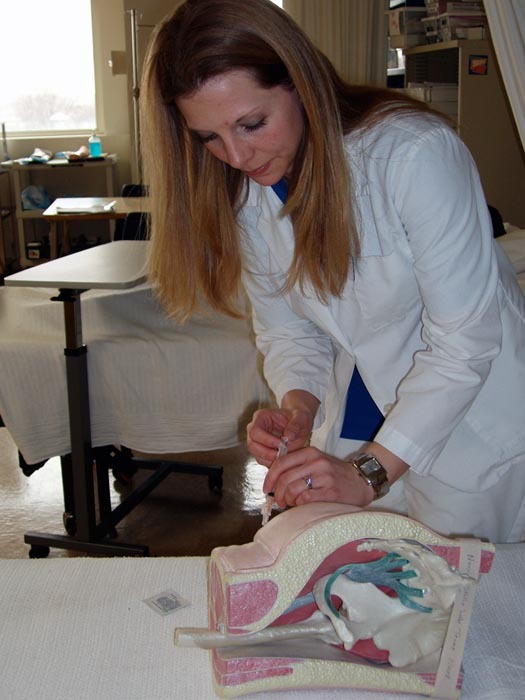 Thank you for helping nursing continue to be the best profession." 02/08/08: Teri wrote... "Way to go Neighbor!! I'm Teri, Linda and Randy's daughter! I am so proud of you for having such a big heart! You are truly an inspiration to everyone! NICE JOB!!" 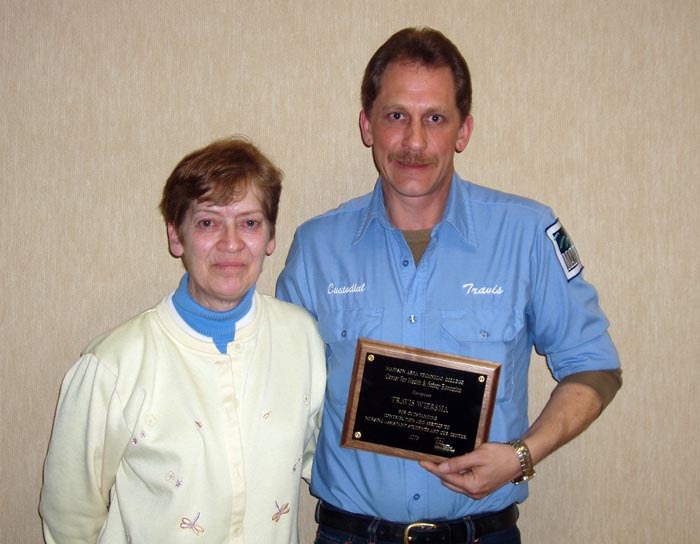 02/11/08: Sandy M. wrote... "Congratulations and Thanks for all you do and going above and beyond!!!! Downtown MATC is proud!" 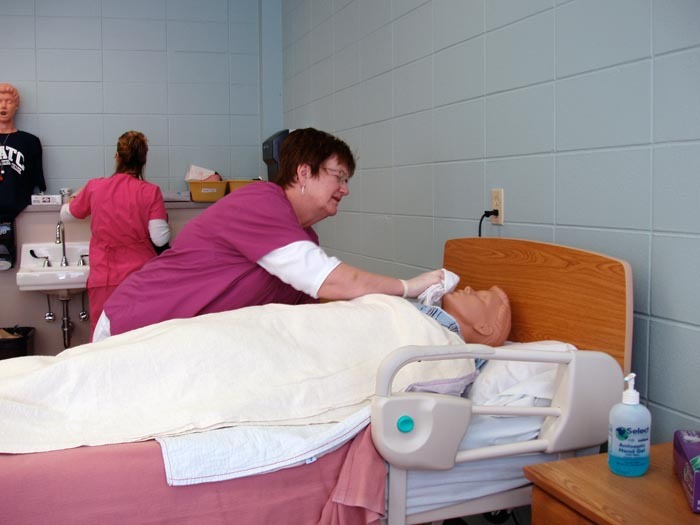 02/11/08: Susan W. wrote... "Travis, Thanks so much for thinking of the nursing programs at MATC. This equipment will be used by many students in years to come & will greatly enhance our programs." 02/12/08: Mandy wrote... "Hi Travis! This is your cousin Mandy. Way to go! We are all proud of you." 02/12/08: Wendy, Gary, Stacy and Samantha wrote... "Travis--we caught you on channel 15 last week, then saw the article. Words go way beyond "proud" for what you did. You deserve a ton of recognition for this wonderful act of kindness. Love you-- Wendy, Gary, Stacy and Samantha"
02/12/08: Nicholle wrote... "Way to go Travis!! I always knew you had a big heart! :o)"
02/17/08: Wendy wrote... "You're A1(as in Steak-sauce) Great job. Travis!" 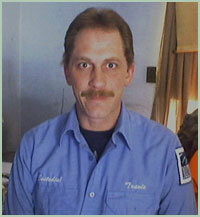 03/15/08: Connie wrote... "Travis, I am proud to know you, and respect you for all you have done and continue to do. Your consideration of all stands out every day. You reached out for a star, and brought back the whole galaxy. 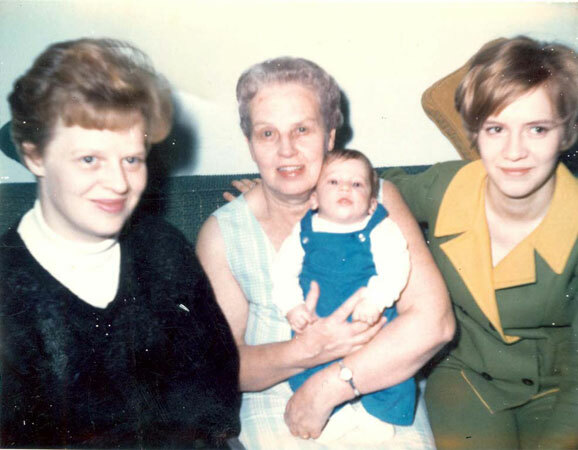 I feel privileged to have known three generations of your wonderful family. Thank you for going the extra mile. 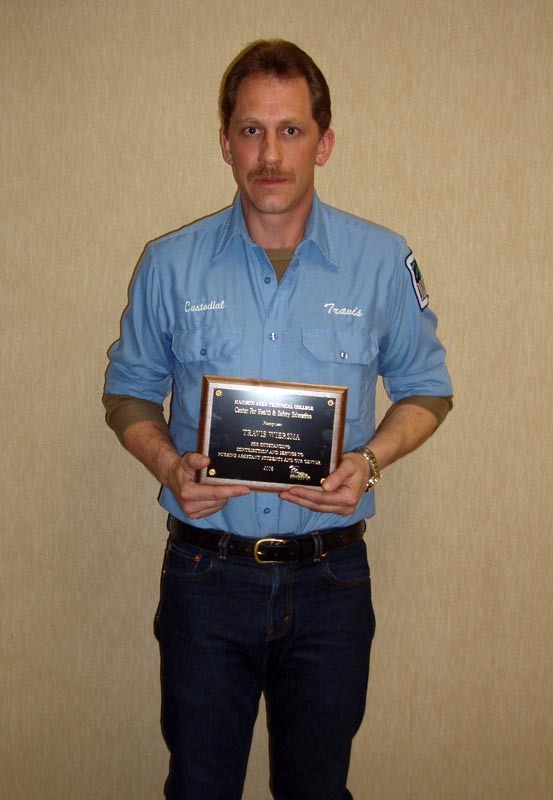 Your award from MATC is well deserved, please display it proudly. Connie Dreger a co-worker from MATC Downtown"
03/19/08: Ann wrote... "Hi Travis, I am also one of Jenny's heroes, I just wanted to say thank you for your email, and I wish you well. Your story is pretty awesome. 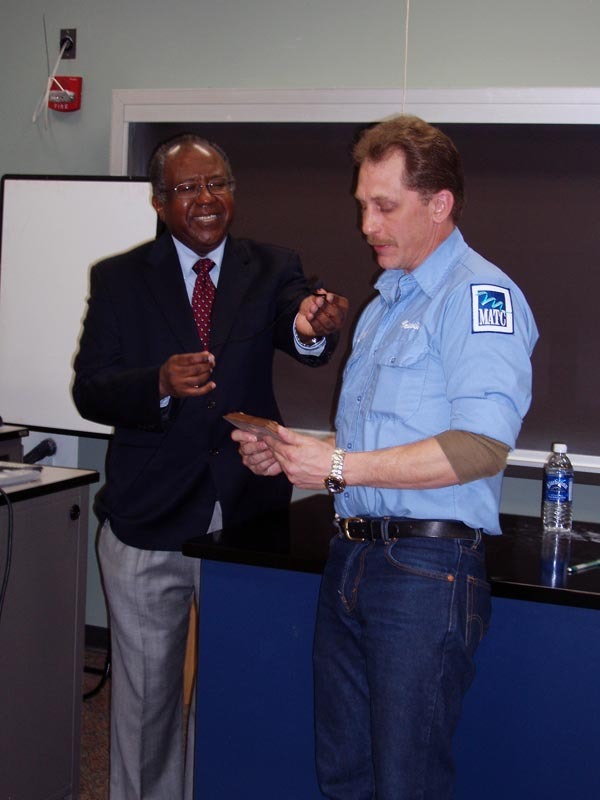 Good Luck"
03/27/08: Bob wrote... "The MATC Foundation's vision is to help students achieve their career dreams. You certainly are helping dreams come true for our students and the people they will help in turn. Way to go!" 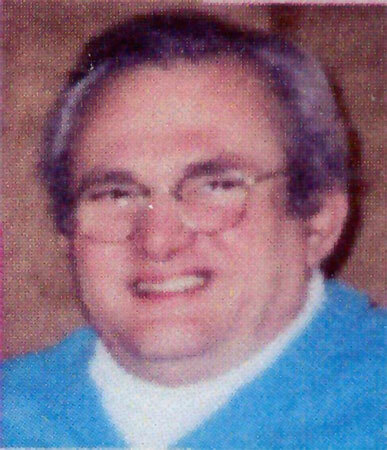 05/01/08: Lisa wrote... "Travis, I am so glad I was led to the Jenny Jones website email section to finally send a note of huge appreciation the generosity of you and Jenny Jones. I am one of the Nursing Assistant Instructors at the downtown lab so your efforts and Ms Jones' generosity are indeed appreciated. I wish I could run into you some shift at work to give you a hug in person but this note will have to do... It's funny how after time we ignore certain inadequacies or the embarrassment of a situation wears off. I am glad that you saw the deficiency in our labs and took action to make them greatly effective, more realistic, and aesthetically pleasing for the next generation of caregivers. 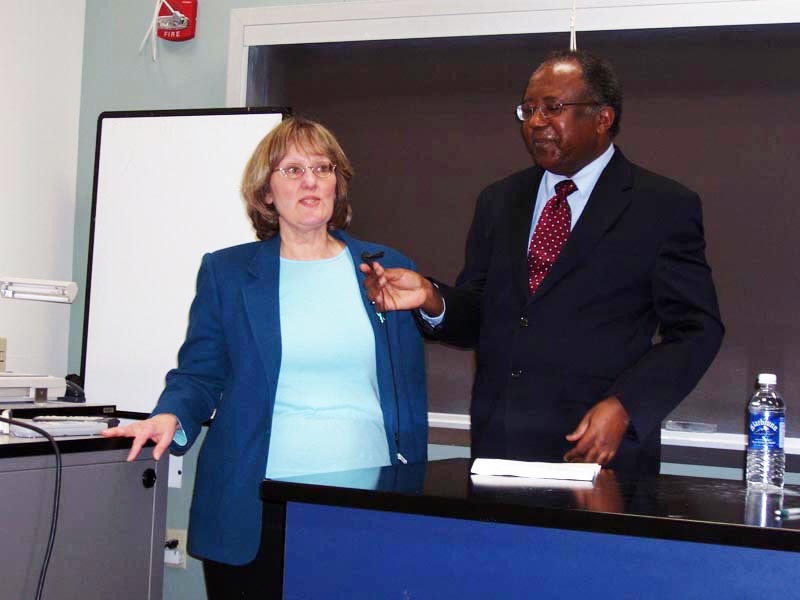 To advance the training to the modern age will assist our teaching methods exponentially." 05/17/08: Victoria wrote... "Travis, Thank you so much for be being responsible for getting much needed equipment for the Nursing Assistant Program at MATC. It is so wonderful coming to work and sharing the equipment with so many students. I will be sure to share the story with how we acquired the equipment for a long time. I also enjoyed reading your story. It was so heart warming. You really are a hero!!!" 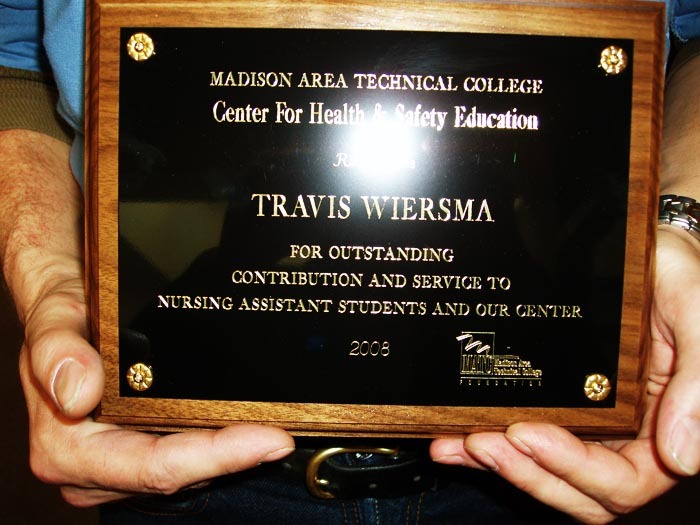 05/20/08: Diane wrote... "Travis, Congratulations and thank you for your gift to the MATC Nursing Programs. 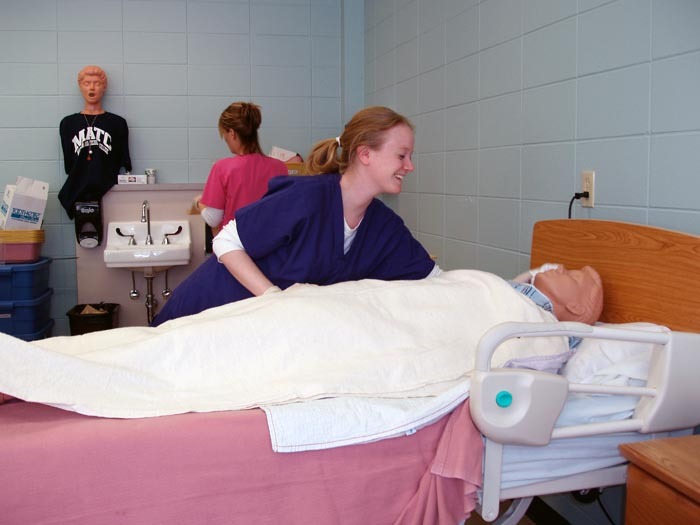 At our April 24th faculty meeting, faculty left with boxes of new equipment and manikins. With budget cuts and an aging baby boomer population, nursing careers shall be the front lines providing quality healthcare. Thank you for your contribution to humanity!" 05/26/08: Gail wrote... "Hi Travis. I just wanted to add my 2 cents worth to your praises and to thank you sincerely for your kind and generous thoughts in the direction of the students in the CNA program at M.A.T.C. You demonstrate your concern for people in so many ways, and this is just another way you have taught us to take care of one another. Your humility throughout this process is also a lesson to behold. You are a person we are all proud to work with." 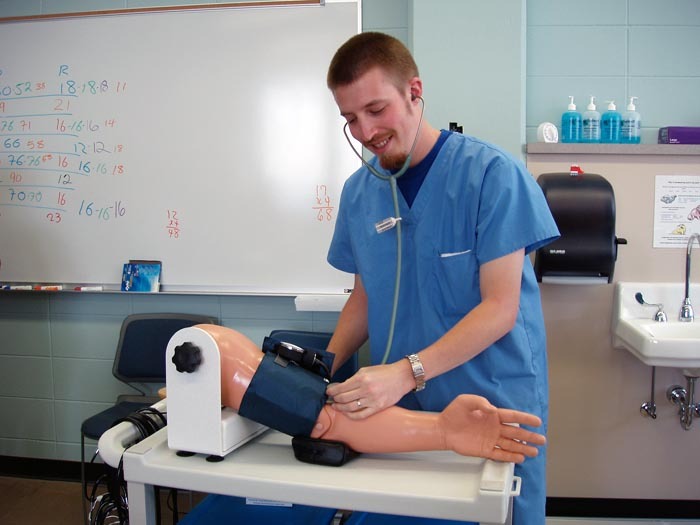 Dear Travis Wiersma, During my first lab in the evening CNA class at MATC, the instructor relayed the story to us about you applying to the Jenny Jones Foundation on MATC's behalf for their Nursing Assistant and Nursing program. As a student who will benefit from this up-to-date lab, I want to extend my deepest appreciation and gratitude towards you and Jenny Jones for making my experience at MATC top-notched! I really look forward to developing my nursing assistant skills in that lab. 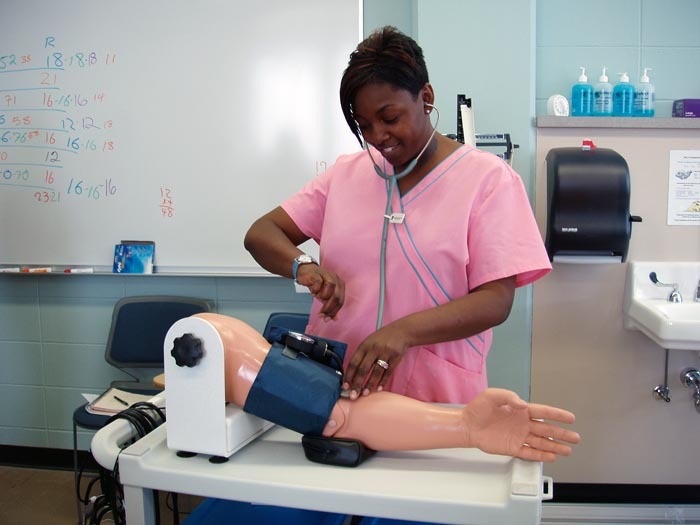 All nurses start with nursing assistant skills and further develop their nursing skills throughout their lifetime. My goal is to become a Nurse Practitioner in a developing country working with people to increase health and wellness through healthcare and education. I have a long road ahead of me, however I've taken the first step, taking a Nursing Assistant class to become certified. I just wanted you to know that you had a part in my training. Thank you!